Walter H. Dreher established the Walter H. Dreher Agency in 1942. Our first office was located on the second floor of the Pocono Record Building on North Seventh Street in Stroudsburg, Pennsylvania. 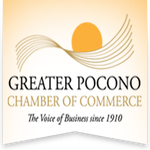 At the time the agency was founded, it functioned as both an insurance and real estate business, serving the Pocono Mountain region. Mr. Dreher moved from the first location to the current location, 551 Main Street, in 1953. Aetna Casualty and Surety was the first insurance company Mr. Dreher represented. In 1968, Mr. Dreher decided to retire and sold the Dreher Agency to Wally G. Butz. At the time of the sale, Mr. Butz was employed at the Pleasant Valley School District as the Junior Senior High School Principal. Prior to working in education, Mr. Butz had worked for Mr. Dreher from 1958 - 1968 as a part-time real estate salesman. He had no insurance experience when he purchased the agency. Mr. Butz continued operating under the fictitious name of Walter H. Dreher Agency after the sale on May 1, 1968. During this period, the agency had two staff members – Mr. Butz and a secretary. In 1972, Linda Miller joined the organization as a secretary. She later retired on January 1, 2001; however, she continues to help out the agency to this day on a part-time basis. In December 1972, Mr. Butz purchased the Eden & Walters Agency, and acquired Vera Walters as a licensed agent. Mrs. Walters was formerly a partner in the Eden & Walters agency. She would become a great asset in retaining customers, and remained with the firm until the age of 75. In January 1974, Aetna requested an additional outside salesmen to enhance the agency's production. As a result, William Getz was sponsored by Aetna over a 36-month period. Twenty-nine years later, Bill is still with the agency. The Walter H. Dreher Agency incorporated on September 1, 1979, under the name of The Dreher Agency Incorporated. The stock was split between Wally G. Butz, president, and Doris S. Butz, secretary/treasurer. On September 1, 1983, The Dreher Agency, Inc. purchased the Donald A. Robbins Agency, which was located in Tannersville, Pa. - approximately eight miles north from the Borough of Stroudsburg. The Corporation continued operating out of Mr. Robbins’ office for about a year, until a new building was purchased in 1984 - one-half mile north of the leased office. On May 15, 1987, Ted Butz joined the agency full-time after being employed the previous two summers. Ted graduated from Pennsylvania State University on May 12, 1987. He graduated from the College of Business Administration, with a Bachelor of Science degree in insurance. The agency continued its growth trend on January 1, 1989, with the purchase of The Francis Gochal Agency, which was located in Bartonsville, Pa. That agency merged with the Stroudsburg office, instead of transitioning into a new branch. The Allen L. Buskirk Agency was purchased on February 1, 1991. The agency was located in Wind Gap, Pa., a location that remained open for several years before merging into the Stroudsburg office. On January 1 1992, Ted Butz purchased all the outstanding stock and became the sole owner, thus completing the transition from Wally & Doris Butz to Ted. The Dreher Agency, Inc. has grown substantially over the years, both in terms of purchasing other agencies and agency production. Both inside and outside sales has attributed to this growth.